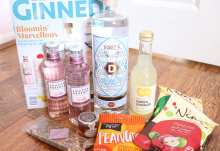 Craft Gin Club is one of my favourite monthly subscription boxes. Why? 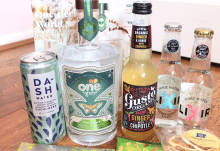 Because it contains a FULL-SIZE bottle of artisan gin in every single box! I mean, what more could you ask for?! This month’s box has a very special Christmassy theme to it which I absolutely love and I pretty much squealed with delight when I saw the contents – they are amazing! Craft Gin Club have seriously pulled it out of the bag with this one, so let’s take a closer look at the goodies. 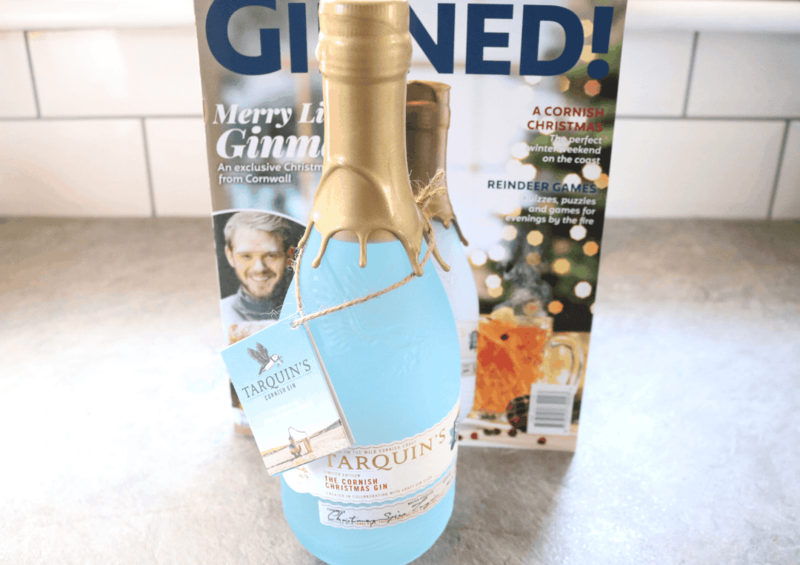 To celebrate the festive season, this month’s gin is a very special one indeed and it’s another Craft Gin Club exclusive, just for their subscribers (it’ll never be available in any shops!). 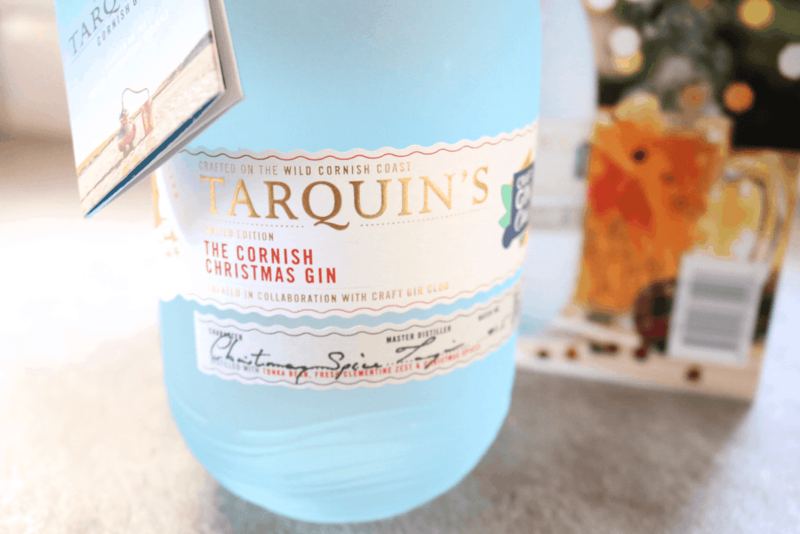 This strictly Limited Edition bottle of Cornish Christmas Gin from Tarquin’s is not only visually beautiful (the bottle design with the melted golden wax seal is just stunning), but it tastes incredible. Hand-crafted to capture the wild spirit of Christmas on the Cornish coast, this gin has a vast spectrum of different botanicals including Juniper, Green Cardamom, Nutmeg, Star Anise, Ginger, Allspice, Bitter Almond, Tonka Bean, Fresh Grapefruit Zest, Fresh Clementine Zest, Fresh Lemon Zest, Violet, Coriander Seed, Liquorice Root, Cinnamon, Clove, Orris Root and Angelica Root – phew! 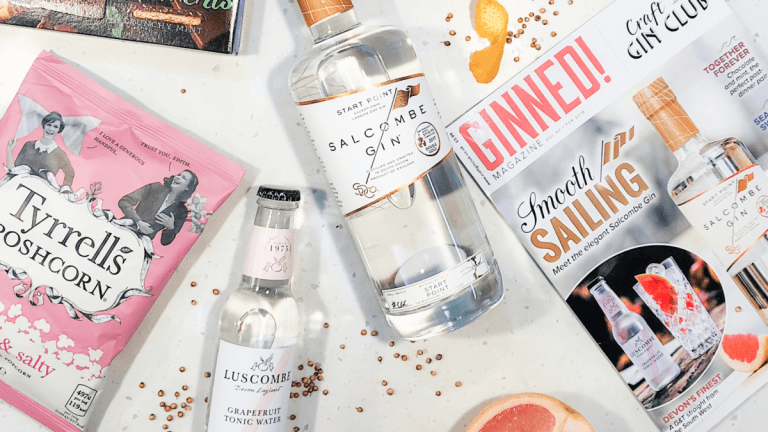 With such an amazing blend of flavours, it’s no surprise that this is bursting with fruity notes and Christmassy spices, all mingled into a sweet and clean-tasting gin. Perfect with any kind of tonic, make sure you add a slice of orange and a cinnamon stick to your G&T to really bring out the best in all of those festive flavours – it’s delicious! There’s an excellent range of drinks, tonics and a special cocktail syrup to accompany this month’s special Christmas Gin. 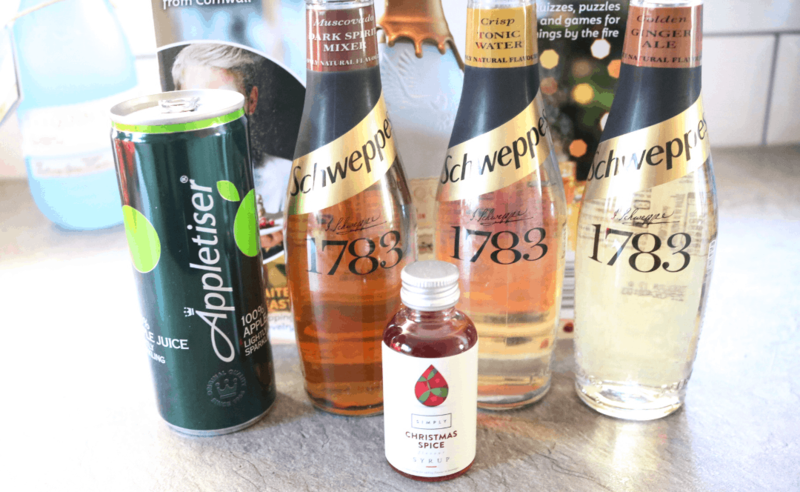 There are three bottles from the Schweppes 1783 range in Crisp Tonic Water, Golden Ginger Ale and Muscovado, a can of Appletizer and a Simply Christmas Spice Syrup which is literally liquid Christmas in a bottle! 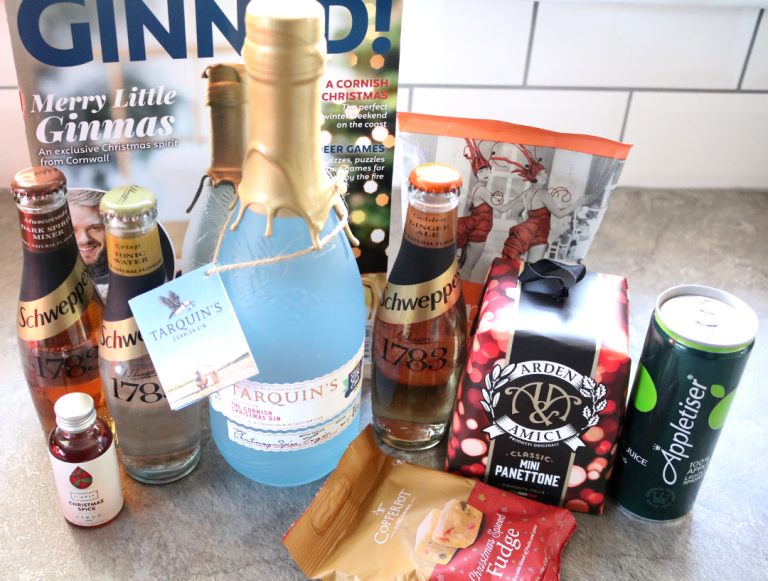 I always look forward to checking out the luxury foodie treats that Craft Gin Club includes with its box every month, and once again, they have hit the ball out of the park with this Christmassy selection of artisan goodies. 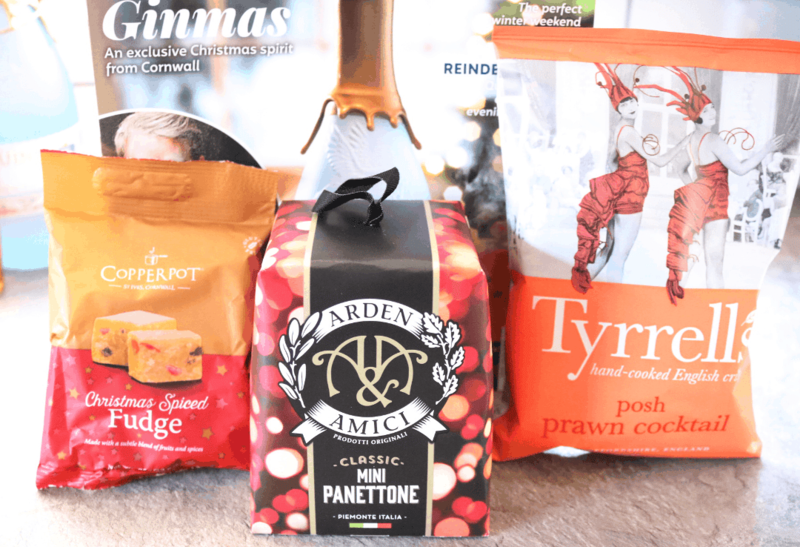 There’s a packet of Copperpot Christmas Spiced Fudge which is super moreish and melts in your mouth; a Classic Mini Panettone from Arden & Amici to satisfy your sweet tooth with an Italian traditional favourite cake, and a bag of Tyrells Posh Prawn Cocktail Crisps to impress your guests with before the big day. 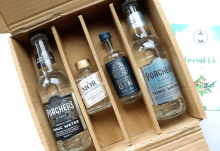 The best box of the year from Craft Gin Club!